Credit card offers are meant to entice. Some woo you by imitating elaborate invitations to posh events with glossy paper and origami-style envelopes. Others look serious, even ominous, with words such as "important" or "confidential" written on the outside. Some post pictures of the exotic places you'd go with their credit card. Don't believe it. 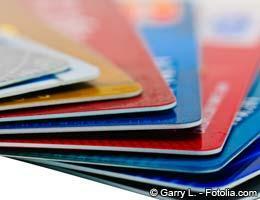 Credit card offers are usually misleading in one way or another. Issuers tend to describe their cards with words that promise more than they really deliver. Which words should you ignore? Bankrate outlines five types of marketing terms or phrases that don't mean what you think. Remember: The real meat of a credit card offer is in the fine print, where you'll find the terms and conditions. What's in a name? It's a question Shakespeare's star-crossed Juliet once mused before concluding: not much. That goes for credit card names, too. It seems issuers are advertising watches or necklaces instead of credit cards. There are the ubiquitous "gold" or "platinum" credit cards, and cards named after precious stones such as diamond or sapphire. There's even a "palladium" card. It's the issuer's most luxurious card and made of the silvery metal, which, ironically, is less precious than platinum. "The metal cards have been diluted beyond recognition and don't mean anything anymore," says Bill McCracken, CEO of market research firm Synergistics. You would think that a "platinum" card is for the best and most creditworthy consumer, right? 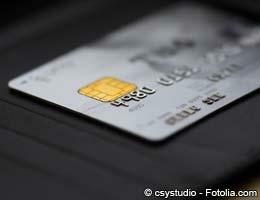 But one issuer offers a "platinum" card for consumers with average credit. Its "platinum prestige" card is the one reserved for consumers with excellent credit. "Frankly, it's very dangerous," says John Ulzheimer, president of consumer education at SmartCredit.com. "You shouldn't use a credit card to whip out and impress your friends. You should use the card because its terms and usability are meaningful to you." So, the best way to compare cards is to ignore the names and instead focus on words that mean something. Namely, focus on annual percentage rate, or APR, and the annual fee. 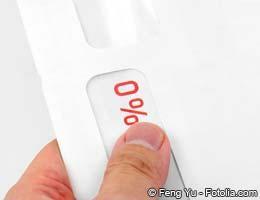 If all U.S. consumers received what issuers printed in big type, everyone would have a zero interest rate credit card and a limit as high as the sky. Banks love to advertise the best-possible terms on the envelopes of their mailings, but only qualified applicants will get them. "It requires a little more reading" to see that, McCracken says. The small, but key words to look for: "as low as" and "up to." That will tell you how low your APR could be and how high your limit could get -- if you qualify. More discreet issuers may just add an asterisk or superscript number that lead to conditions for the often-empty promise. Scan the bottom or back of the offer to find the conditions for perks such as a zero APR or a $100,000 credit limit. Even if the mailing calls itself an "invitation" or says you're "preselected," it's just flattering you. There's no guarantee you will qualify for the card or get the best terms. You will have to jump through the same application hoops as everyone else. "It's not much different than grabbing a take-one application at a bar or restaurant," says Ulzheimer, referring to credit card applications that appear at registers of some merchants. "All normal underwriting requirements apply. You're not getting any special treatment." In an age when news of data breaches and skimming waiters populate headlines almost every day, a U.S. consumer may be swayed by an issuer's offer of zero liability against credit card fraud. But that's hardly an exclusive benefit. Most major issuers feature a zero-liability policy. And it's not so much the issuer who is looking out for you as it is the federal government. "It's interesting how many banks characterize this as a benefit of their card, since they are characterizing something basically required under federal law," says Joe Ridout, with the watchdog group Consumer Action. 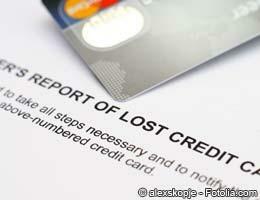 Here's the lowdown: Your maximum liability for a lost or stolen credit card is $50 under the Fair Credit Billing Act. If you report the card missing before it's used, you are not responsible for any unauthorized charges. If just your credit card number is stolen -- say, from a data leak -- you are not responsible for any unapproved charges at all, no matter when you report the nefarious activity. So at most, your issuer is saving you $50 in fraud losses. That's nice, but it's nothing to write home about. 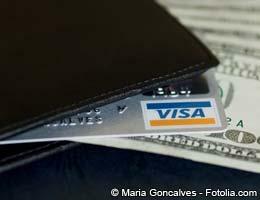 Many issuers offer credit cards aimed at the small-business owner. 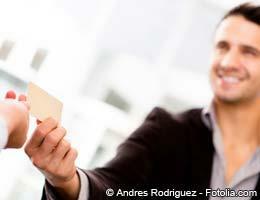 They often feature rewards programs that earn points at restaurants and office supply stores. But guess what? You don't have to prove you have a small business to get one, in most cases. "Issuers are pretty generous with the small-business definition," says McCracken of Synergistics. That means a weekend mowing business, an on-the-side fruit basket business, or an Etsy craft or hobby could qualify as a small business. While there is a space on a small-business card application for your business' federal tax identification number (also known as an employer identification number), an applicant can give his or her Social Security number instead and identify the business as a sole proprietorship. But watch out. Any missed payments on your small-business credit card could end up on your personal credit report, depending on how the issuer reports the card. And small-business credit cards aren't covered by the protections of the Credit Card Accountability Responsibility and Disclosure Act of 2009. That means eyebrow-raising practices such as double-cycle billing and inactivity fees are fair game. "It's just a consumer credit card that doesn't have to follow the rules," says Ulzheimer of SmartCredit.com. What could be easier? You sign up for a new credit card and, in return, you get 30,000 bonus miles or $200 cash back as a thank-you from the issuer. Not so fast. These special sign-up incentives typically come with caveats. Most of them require cardholders to meet a certain spending threshold in a specific amount of time. That could encourage spending you wouldn't normally do. "As with any reward card, you can't spend yourself into savings," says Ridout of Consumer Action. "If it fits in your normal spending pattern, it can be an excellent opportunity." Issuers have been making their sign-up bonuses bigger and more common, according to market research firm Synovate. And some of them are legit extras with no strings attached. The mother of all incentives so far this year was Capital One's "Double Mile Challenge" that gave new Venture cardholders double miles for every dollar they spent last year on another travel rewards card. And it only required you to sign up -- a real bonus! It ran until the issuer gave away 1 billion miles. The promotion sold out in one month. Pay off plastic with loan?